If you air conditioner won’t turn on, cool effectively or is showing and error code for unseen reasons please follow these steps which may help your system return to normal operation. Go to where the outdoor unit is. 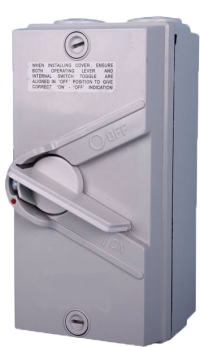 Locate the isolator switch on the unit or on the wall beside the unit, which looks like a commercial on/off switch. Turn the switch off and leave it off for an hour. Turn the isolator switch back on after an hour. Check for error codes on the master controller e.g. EEE, E42 or F42. Note: Turning off the isolator switch will cut the power from the switchboard and clear the memory of the air conditioning functions as it was doing beforehand. Note: Different brands have different error codes. If your system has error codes and still won’t operate call us on 07 3395 7633 to book in for a service, fault find or possible repair. If your zone control panel has an error code, please try the master reset as explained above first. If the error code continues to show call us on 07 3395 7633 and we will arrange for a qualified technician to inspect the system. At the time of installation, we provide you with an instruction/user manual. Different brands have different tips to fix unwanted error codes, which you should be able to locate in your manual. It’s a good idea to have this handy if you need to call us. Sometimes these product manuals are also available online to download. Please be aware there are multiple product manuals so download the one specific to your model of system.